Yemen’s foreign minister expressed alarm after reported breaches minutes after a ceasefire went into effect at 2100 GMT on Sunday in the country, just a week before the upcoming UN-sponsored peace talks in Kuwait. “Until now we do not know if the violations were intentional but we will evaluate in the next few hours to see if they were,” Yemeni Foreign Minister Abdulmalik Al-Mekhlafi told Al Arabiya News Channel. “If these violations prove to be intentional, we will retaliate,” he warned. Sources told Al Arabiya News Channel that Iran-backed Houthi militias breached the ceasefire with reports of heavy clashes taking place in the eastern part of Yemen’s Taiz. Shelling could be heard in the background during the phone interview with Kamari, who said he first heard the gunfire at 2200 GMT, and later heard heavy heaving shelling near his home. But the Houthi rebels vowed to respect the truce that began, joining other combatants in supporting the ceasefire. 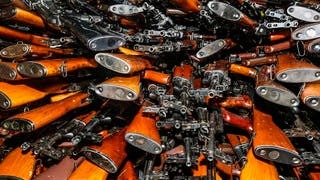 The Houthis, along with allied troops loyal to ex-president Ali Abdullah Saleh, have sent the United Nations a letter committing to “cease land, sea and air military operations” throughout Yemen, according to a communique carried by the rebel-run Saba news agency. Earlier, Saudi military spokesman Brigadier General Ahmed al-Asiri said the Arab Coalition fighting Iran-backed Houthi militias will honor Yemen’s ceasefire. “The Arab coalition is going to respect a ceasefire in Yemen starting from midnight Sunday at the demand of President (Abedrabbo Mansour) Hadi but reserves the right to respond” to any rebel attacks, it said in a statement. In a telephone interview with Al Arabiya News Channel, Asiri expressed his hopes that the Houthis will commit to the ceasfire. He also said that humanitarian aid will be delivered to six Yemeni provinces during the ceasfire, emphasizing that the Yemeni government will go through the talks in Kuwait regardless of the situation. This will be the fourth ceasefire since March 26 last year when the Saudi-led coalition began air strikes to support the government of Hadi, who fled an advance by Shiite Houthis and their allies, elite troops loyal to Saleh. Previous ceasefires failed to take hold and negotiations collapsed. Analysts said a more conducive atmosphere prevails ahead of next week’s round. It is hoped that the new ceasefire will serve as the cornerstone of a long-lasting peace deal which will be negotiated between Yemeni warring parties in Kuwait. The ceasefire is set to first go into effect in Taiz and Hajjah governorates. However, sporadic fighting gripped parts of Yemen on Sunday, hours before the expected ceasefire. 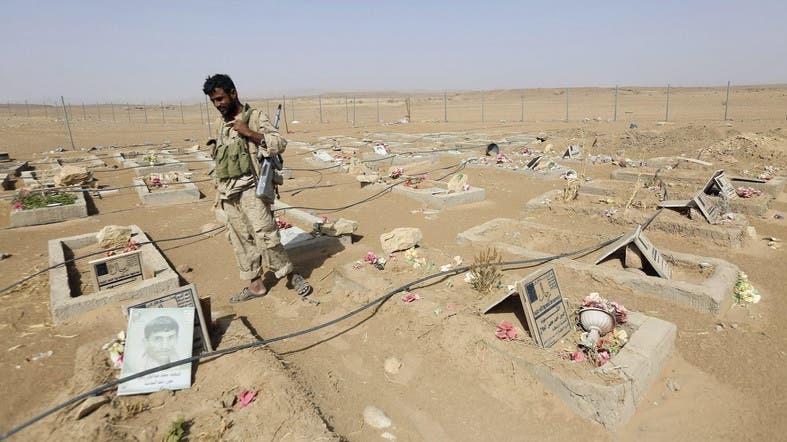 Chaos has ruled Yemen since Iran-backed Houthi militia overran the capital in September 2014 and advanced to other regions in an attempted coup, prompting a Saudi-led military campaign in support of the internationally recognized President Hadi in March last year. Fighting raged Sunday in regions surrounding Sanaa, while the Houthi-held capital itself, which has been regularly bombed by coalition warplanes, was quiet. Houthi rebels and their allies exchanged mortar and artillery fire with pro-Hadi forces in the Sarwah region of Marib province, east of Sanaa, an AFP correspondent said. Coalition warplanes carried out fresh air strikes to stop rebels seeking to take back a military base that pro-government forces had recaptured in late 2015, military sources said. Although battles raged in the past few days as each party attempts to enhance its negotiating position, the Yemeni people are looking forward that Sunday midnight will be calm in their areas where shelling and fighting dominated for months. Informed sources told Al Arabiya News Channel that different Yemeni parties received the ceasefire draft, adding that the Houthis and forces loyal to deposed Yemeni President Ali Abdullah Saleh voiced reservations over its articles. However, the upcoming hours will clarify the situation on ground especially that different Yemeni parties have dispatched delegations to Kuwait to supervise halting military operations. Meanwhile, some analysts said the calm situation on the border between Saudi Arabia and Yemeni areas where Houthis are situated is a positive sign. But other analysts said the Houthis and Saleh’s forces not voicing a clear and frank stance regarding the talks, means that they will continue to be ambiguous.